‘Making Maths Matter’ is the East Lothian Numeracy and Mathematics Conference aimed at improving achievement in Numeracy and Mathematics and narrowing the attainment gap. The conference is being held at the Marine Hotel in North Berwick on Friday 13th March 2015. Key speakers are Professor Louise Hayward from Glasgow University who will discuss ‘Narrowing the attainment gap’ and Carol Copstick from Education Scotland who will provide and overview of progress and achievement in Numeracy and Mathematics across Scotland. A variety of workshops will be led by practitioners, children and partners. Please click on the links to access the training material used at the Literacy Across Learning course 23 September 2011. Have you heard that the SQA Course Rationales & Summaries have been published but not found a minute to have a look and feedback? Are you still confusing your National 4 with your Fourth Level? If so, sign up for this CPD event on Tuesday 15 March 2011 4.15-6.15pm, Buffet Room, Townhouse, Haddington. Attendees will be given up to date information on Design Principles, timescales and future developments on the National Qualifications in line with Curriculum for Excellence. 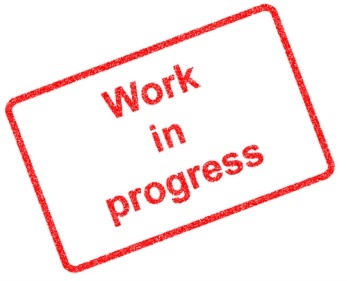 Teaching staff will have the opportunity to evaluate recent draft publications. Attendees will be given the opportunity to work with other subject specific practitioners (where possible) to offer coherent and in depth feedback on the draft publications. Any feedback given will be given directly to the Qualification Design Teams within SQA. Attendees will be given the opportunity to take part in a Q/A session around SQA National Qualifications (CfE). Have had the opportunity to provide feedback on draft publications that will be directed to SQA QDTs. Have gained a better understanding of the new National Qualifications and their developments. Have a better knowledge of when future developments are going to materialize and how to keep informed of these. Information will be provided on the developments of the new National Qualifications for CfE. Opportunity to gather coherent feedback on the recent draft publications. Q & A session with focus on developments of National Qualifications. The draft Course Rationales and Summaries outline the proposed content for the new qualifications and their aims and purposes. The Course Rationales identify the skills and knowledge learners will develop. The Course Summaries detail how Courses will be structured. They provide a brief description of each Unit in the Course and what is required to achieve the Course. You can leave feedback via Have Your Say. At each stage of the qualifications development process we are publishing draft documents in an open and transparent way to show the thinking at each stage and to provide the opportunity to give feedback. 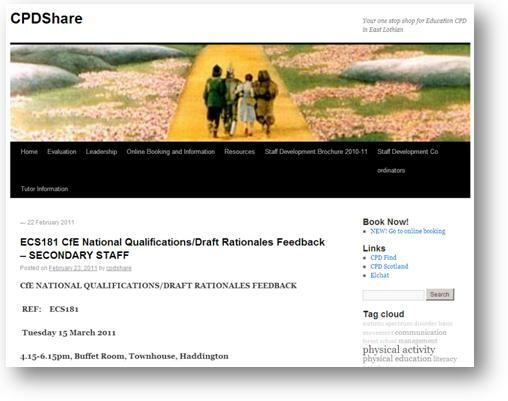 We welcome your feedback on the Course Rationales and Summaries by the end of March 2011.